One of the more undervalued positions at any level of football is the kicker. The University of Colorado Buffaloes football team has both depth and talent at the position for the upcoming season. For a kicker, spring ball and the looming offseason can mean a variety of things. There is always an agenda, whether it’s simply trying to feel good, or adjusting your mechanics. Junior place kicker James Stefanou and senior place kicker Davis Price look to improve their craft, and take advantage of spring football. Price, who was primarily a punter during the 2018 season, is always looking to improve his game. The Evergreen High School graduate rounded out the 2018 campaign executing 48 punts, averaging 38.4 yards. While punting is never a desirable offensive outcome, if Davis can pin the opponent deep when needed, the Buffs will benefit greatly. As for the notoriously oldest player in college football, 31-year-old Stefanou focuses on the mental aspect of kicking during practice. Stefanou struggled through multiple injuries during the 2018 season. The Australian native was forced to sit out multiple games, but was able to recover for the Buff’s last two contests. While on the field, Stefanou was an impressive 30-of-30 on extra points. Not bad for the once professional Australian soccer player. For some perspective, current Green Bay Packers kicker Mason Crosby’s best season kicking the extra point at CU was 32-of-32 in 2005. Securing that extra point is a key component in winning close games. For Stefanou, managing a healthy workload allows him to be in top shape even when there isn’t games to be played. “You’re kicking your leg 100 percent, 100 percent of the time, every time you’re kicking, so you (have) to be weary of not over kicking,” Stefanou said. The Buffaloes practice about every other day during the spring, allowing the kickers time to recover, and get some work in on their own. Trying to find the right amount of repetitions is an interesting challenge. Stefanou on the other hand, uses more of his instincts to decide when he’s had enough. Putting in the reps is just half of the equation. What needs to happen after practice is just as important. The stress on a kicker’s leg is significant, therefore healing is a must. Ensuring a smooth transition to new head coach Mel Tucker’s practice structure will be pivotal for the kickers and the team as a whole. 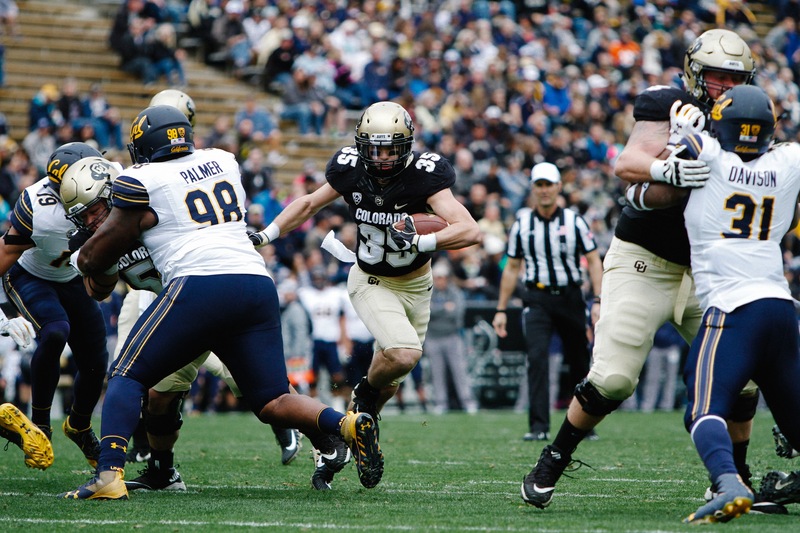 Making the most out of spring practice will be important for the Buffs come fall. The drive in this group is apparent, and should pay dividends come August. With the annual spring game approaching, Stefanou and the Buffs still look to have a little fun while getting their work in. You can watch Stefanou and Davis kick it into high gear at the spring game on April 27.